has been hired to help a prisoner (Oakes) escape. Fletch and Godber stumble upon the escape and get taken out of Slade by Oakes. Fletch persuades Oakes to let them go and they have to break in. Not much of a plot is it? Well if you haven't seen this film don't let the weak plot put you off. There are plenty of hilarious moments (although a couple of scenes are borrowed from episodes from the series). Sadly, Richard Beckinsale died within weeks of the filming being completed. His performance is superb and is a fitting end to an excellent but cruelly curtailed career. 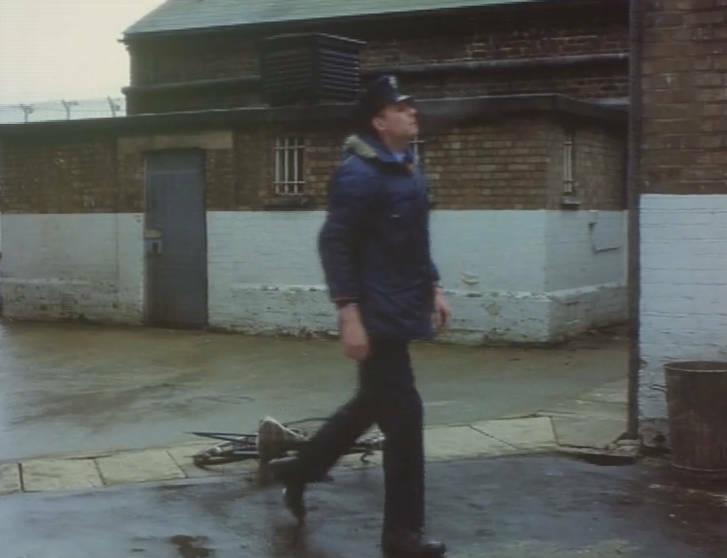 One of my favourite moments of the film is when Beale tries to ride his bike not realising the prisoners had been nicking bits off it effectively ruining the bike within seconds!